A new household finance report on the eve of Brexit shows almost 20 per cent of UK adults are worried about the state of their personal expenses. Levels of pessimism are now at their highest level since February 2014, say insolvency firm R3. Britain’s departure from the European Union is fuelling fears that household spending could fall into catastrophe. In a survey of over 2,000 people, R3 and ComRes found the number of adults concerned about their future financial health was rising steadily. 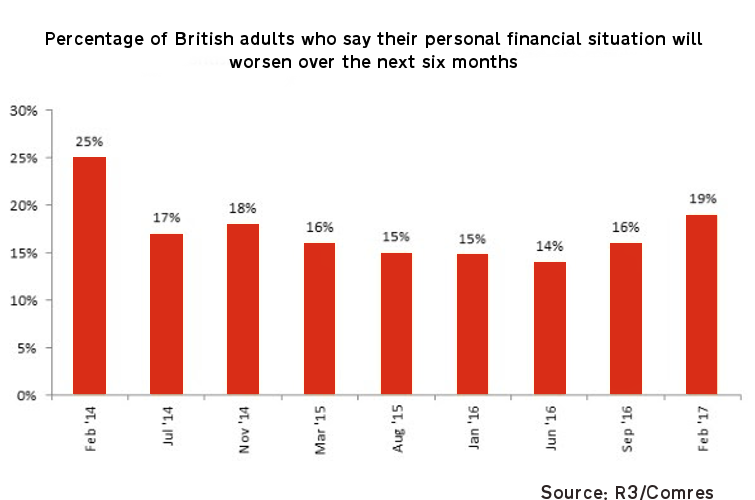 Almost one in five (19 per cent) think their personal financial situation will worsen over the next six months, up from 16% in September 2016 and 14% in June 2016. Out of all those surveyed, people age 55-64 were the most pessimistic age group, with a quarter (24 per cent) expecting their financial situation to worsen over the next six months. Those living in the West Midlands held the highest levels of pessimism (25%) about their personal finances in the next six months, compared to any other region in the UK. Inflation is now well above the Bank of England’s target rate of 2 per cent. So daily expenses like food, fuel and energy now cost the average family more than they did six months ago. Council tax rises coming in April are also causing concern. 90 per cent of councils across the UK say they will charge more than last year’s bills. And broadband prices are going up across the board. Virgin Media, O2, BT, EE have all said they will raise mid-contract prices by more than 2.5 per cent. Mark Sands, Chair of R3’s Personal Insolvency Committee said: “The increase in the number of British adults who think their personal financial situation will worsen in the next six months is small but could be the first signs of a shift in attitudes towards personal finances. 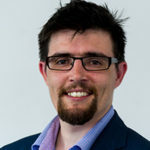 “The changes coincide with the period of rising inflation – and falling real wage growth – we have seen since June’s referendum and the pound’s subsequent slump.